Want to give your pillow some pizzazz? Add some sequins to it! Sequins can make any pillowcase look livelier, with their sparkles making the perfect complement to plain white cotton. 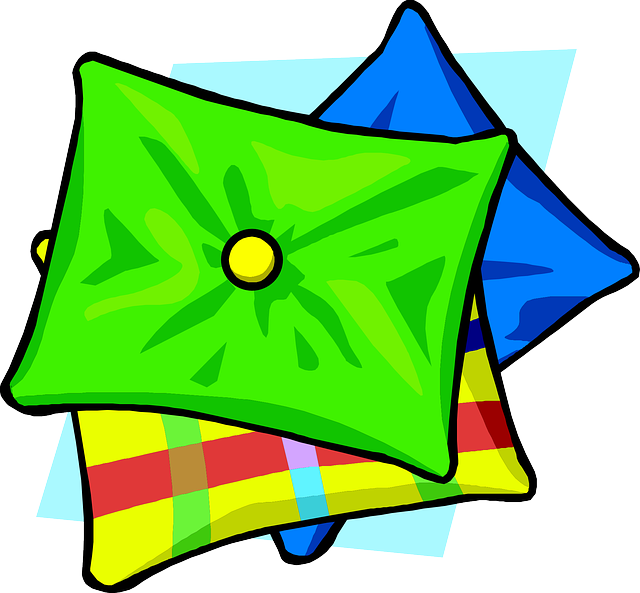 Sew some on in a random pattern, anchoring them with smaller beads in the center, to make a fun pillowcase that’s not too stuffy. If you only want a sequin accent, purchase some iron-on sequins and sew them around the edges of the pillow to frame it. And if you’re feeling a bit more inspired, try using loose sequins to create polka dots, spell words, or make shapes. This kind of activity is not only great for building manual dexterity in kids, research published in the British Journal of Occupational Therapy reveals that study participants who did crafts with their hands significantly reduced their symptoms of depression. 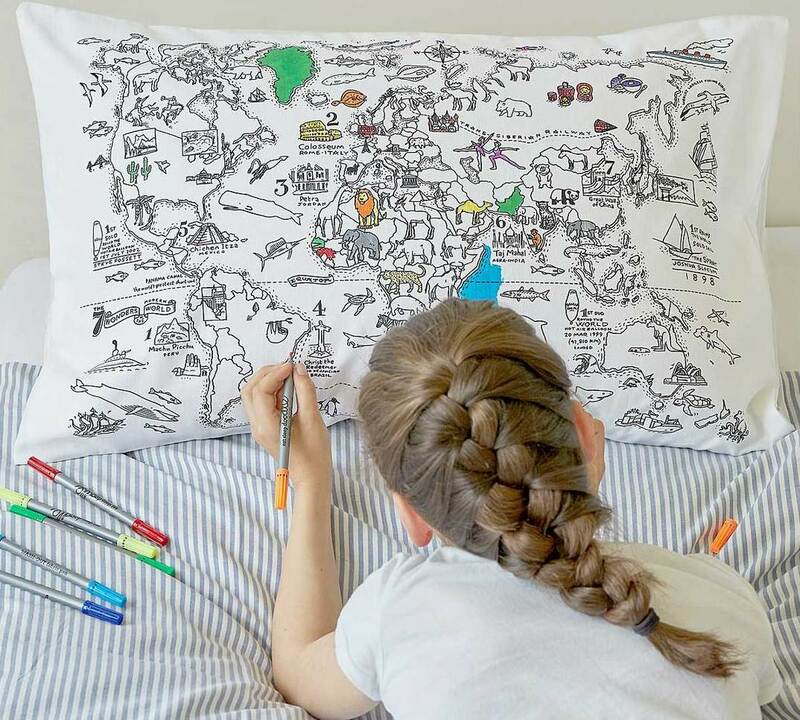 Your kid’s room is already full of priceless mementos they would never part with, so why not add one more with a customized pillowcase? 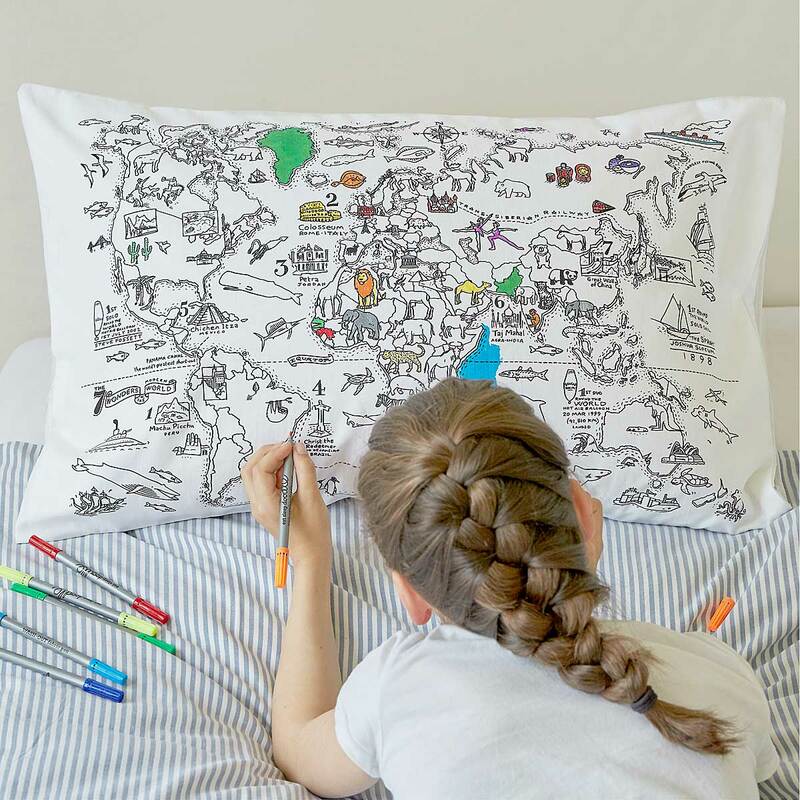 Get some permanent fabric markers and encourage your child’s inner circle to sign their names, draw designs, or add some of their favorite quotes or inside jokes to the pillowcase to make it a pretty and personalized piece of art. Even better, that pillowcase will stand as a symbol of your kiddo’s strong social circle, which can make them feel confident, loved, and cared about, something every kid could use. Turn your child’s pillowcase into a place to display their favorite photos by sewing some fabric-edged vinyl pockets to it. While they have fabric edges that you can sew or fabric glue to a pillowcase, their vinyl sheath will keep the photos protected from beauty products, spilled drinks, or slobbery pets. When it’s time to wash them, just slip the photos out, turn them inside out, and hang them to dry. Think that looking at old photos is a silly habit? Think again! Researchers in Milan have actually found that reminiscing improved elderly study subjects’ mental and emotional well-being. Make your pillowcase prettier by adding a creative border to it, or just add a strip of trim around the case’s open end. At most craft stores, you can purchase raffia, ribbon, or just a strip of fringe, very inexpensively. Once you get it home, you can either sew it to your pillowcase or attach it using a heat-sensitive adhesive, like Stitch Witchery, that you can easily iron on. Fortunately, ironing on a border is so easy that it will help build confidence in even kids who aren’t super-sure of their crafting abilities. Make that pillowcase a fun addition to any room and channel your inner ‘80s kid in the process by busting out the puff paints and letting your inner artist explore. Not only will this add loads of lively color to your pillowcase, it’s also an easy way to let the whole family work on a project together; puff paints are notoriously forgiving — in many cases, they can be peeled off if you mess up — and they’re simple to use for little ones who love finger-painting and older kids can make more intricate designs using them with pens. Luckily, that puff paint project does more than just dress up your kid’s pillowcase; researchers at Mississippi State University have found that kids who regularly participate in arts activities have higher test scores than their art-abstaining counterparts. You don’t have to have a stack of Grateful Dead albums in your basement to indulge in your love of tie-dye, especially when you’re trying to brighten up your kids’ room. An inexpensive and easy project to take on, and a great way to relax and bond with your little ones, tie-dyeing is fun for kids and parents alike. All you need is some fabric dye, rubber bands, buckets, and hot water and you can create lively patterns that will transform your pillowcases in no time. This kind of hands-on work is also a major boon to kids who struggle with stress; in fact, research suggests that working with your hands can significantly reduce anxiety. Want to give your kids a fun project to tackle but leave your pillowcases looking guest room-worthy? Try adding some lace trim! A strip of lace around the open edge of the pillowcases can make it look like an expensive antique, despite taking just seconds to do. If you want to make your pillowcase look a bit funkier, try dyeing the lace first or using it to make stripes on the pillowcase, either sewing them into place, using fabric glue, or backing them with some iron-on adhesive. Even if your child’s neurological health isn’t a concern at the moment, crafting can help ensure they have a healthy brain as they get older; researchers at the Mayo Clinic have linked activities like crafting with a reduced risk of cognitive decline later in life, as well as making them happier. 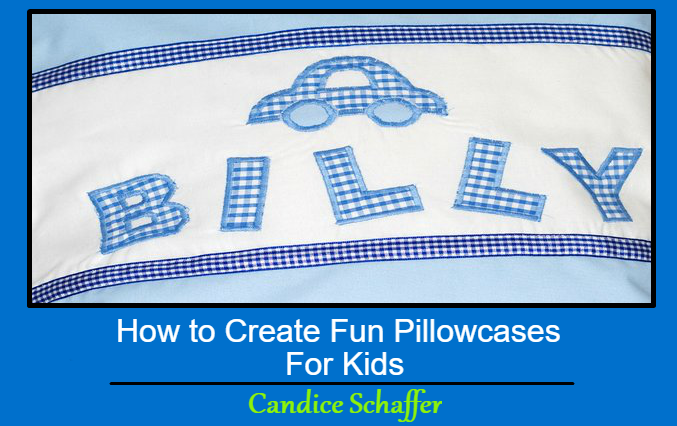 This Concludes: How to Create Fun Pillowcases For Kids. What Did You Think Of This Post? Please Let Us Know By Rating Below!